The Facebook Site Governance Vote, as its being called, is now open for one week only and gives users the option of adopting the changes to its Statement of Rights and Responsibilities and its Data Use Policy. The Facebook vs Europe group wants huge changes to both, and is encouraging users to shoot down these slight revisions, saying it wants Facebook to do more. If enough people vote either way, the changes will come into effect or be scrapped. If not they'll go under advisory. However, Facebook has made it as difficult and time consuming as possible for users to determine what it is that they're actually voting for. Users will have to read the proposed and existing SRR and Data Use Policy to have any hope of understanding what the changes are. Both are substantial reads. With that in mind, it seems highly unlikely that people will vote in those numbers, so once again it'll probably down to Facebook to tweak its policy. The protest, spearheaded by Max Schrems, an Austrian Facebook user, saw him mobilise fellow frequenters of the site to comment 7,000 times on Facebook's Site Governance Page, triggering the public vote. 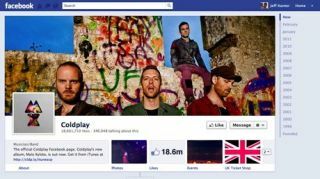 He says: "If the new policy does not go through, Facebook would have to rewrite the policy and might improve something. In addition the new policy grants Facebook even more rights to exploit our data and limit our privacy, which we cannot support."